The September 2018 quarter CPI figure released yesterday continues to be good news for home buyers and renters, according to industry body, the Real Estate Institute of Australia (REIA). The All Groups CPI increased by 0.4 per cent in the September quarter, the same as for the previous two quarters, leading to an annual increase of 1.9 per cent. REIA President Malcolm Gunning says this suggests “official interest rates will remain historically low for some time yet”. The Housing Group increased by 0.4 per cent for the September quarter, and 1.6 per cent for the year to September 2018. Major increases for the year were gas and other household fuels (up 3 per cent), and maintenance and repairs (up 2.4 per cent). Pictured: The Reserve Bank of Australia. Image via WikiCommons. The cost of rent also increased by 0.4 per cent over the September quarter and only 0.6 per cent for the year. “For the last eleven quarters, the average annual change has been less than 1.0 per cent,” Mr Gunning said. “The latest CPI figures show that the increased investment in housing has kept growth in rents lower than they have been historically and is clear testament that the current taxation arrangements benefit renters and that any change in the treatment of negative gearing and capital gains tax would see an increase in rents,” he told WILLIAMS MEDIA. “With the RBA meeting next week, the latest inflation data together with a cooling in the housing market suggests that home buyers can be comfortable in this knowledge,” Mr Gunning told WILLIAMS MEDIA. Mr Gunning says the only thing that will lead to a hike in interest rates is rising levels of inflation. “While we have a strong economy, inflation is under control. That is a big factor, as are the APRA regulations around residential and investment lending particularly, is doing the job to cool the property market. Previously the RBA used to use interest rates, but what they’ve done is impose a good old-fashioned credit squeeze,” he told WILLIAMS MEDIA. Acting Principal Economist for the Housing Industry Association, Geordan Murray agrees. 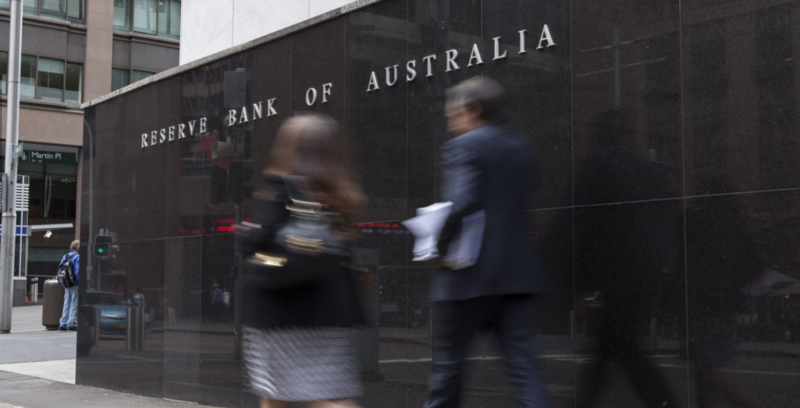 “It is unlikely that the RBA will make any changes to the official cash rate any time soon, given the subdued rate of inflation and underutilised capacity within labour force,” he told WILLIAMS MEDIA. Mr Gunning doesn’t think borrowing costs will go up, but the criteria for loan eligibility will get tougher. “The criteria required is much stronger. It’s very difficult now for investment properties, where a 20 per cent deposit is required. “First home buyers probably are the easiest to qualify, the APRA has set it up that way it encourages investors. There is no more fixed interest loans for upgraders or downsizers. “So borrowing costs won’t go up, but eligibility will be harder,” Mr Gunning told WILLIAMS MEDIA. But Mr Murray says rising borrowing costs shouldn’t be ruled out. “While the official cash rate is likely to remain on hold, rising borrowing costs should not be ruled out as lenders will pass on any increase in their funding costs,” Mr Murray told WILLIAMS MEDIA. “There’s a bit of a cocktail of influences for interest rates to borrowers. On one hand, there’s potential for funding costs to rise and banks passing them on to customers. On the other hand, loan volumes have reduced, so banks are offering discounts to attract a bigger slice of a smaller pie,” Mr Pressley told WILLIAMS MEDIA. “Every Australian wants wage growth. Record volumes of national job growth are starting to place pressure on labour supply which, if it continues, will eventually lead to wage growth. APRA’s over the top intervention may bring this undone,” Mr Pressley continued. How much of the RBA’s cautious approach is tied to the pending fallout of the Financial Services Royal Commission? Mr Gunning believes the banks are retaliating. “The banks are having difficulty sourcing offshore funds, which they use to lend back out again to heighten interest rates. A lot of it has gone back to America because the bond rate is quite high. “Personally, I think there is a bit of retaliation. I think the banks are retaliating as far as the Banking Royal Commission, and they’re really just cutting the borrowing. I don’t think they’re flipping them the bird so to speak, but they are focusing more on their own structure until the findings of the Banking Royal Commission have been released,” Mr Gunning told WILLIAMS MEDIA. Mr Murray says there are many bridges to cross before we know the full outcome of the Royal Commission. “The Royal Commission is yet to make recommendations and then we don’t know which of the recommendations the government will adopt or how any changes will be implemented. There may be major changes or there may be minor changes and the RBA will be assessing a range of potential scenarios. “At the moment, the RBA will be assessing the extent to which the process of the Royal Commission itself has had an impact on lending activity. In their recent communications, the RBA has noted a tightening of credit conditions,” Mr Murray told WILLIAMS MEDIA. Mr Pressley says this recent tightening was unnecessary. “Propertyology’s view is that recent tightening if credit policy was unnecessary. First home buyers, upgraders, downsizers, renovators and investors are now finding it harder to implement important life decisions. And the resultant less money circulating through Australia’s economy benefits no one,” Mr Pressley said.